An interior redesign is a service that I offer to my client’s using what they already own. It is the most affordable way to redecorate a room with the most amazing results. Every time, I do one of these projects my favorite part is the reaction from the client. They are always amazed at what my team can do with the stuff that a client owns. Sometimes it is just a matter of moving a piece from one room to another. Recently we did a client’s house where she had an antique piece stuffed in a corner with stuffed piled so high on the piece that you could not even see how cool this antique really was. My team and I took all of the junk off the piece, polished it up and moved it into the living room with a freshly cleaned silk arrangement that was also stuck in a corner. It looked great in that spot and I think it made the room! Let KR Interiors prepare your home for sale today with new furnishings or what you have – get the most money for your home and a shorter turnaround! 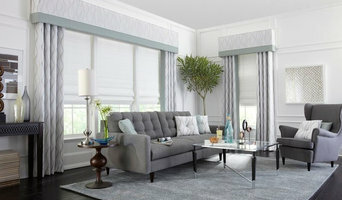 Get a whole new environment using your current furniture by adding new accessories like window coverings, area rugs and more! People just don’t realize the potential that some of their pieces can have on a room when it is put in the right spot with the perfect accessories! Another trick that I like to use is buying new accessories. New art, area rugs, pillows, and accessories can totally transform a room. *Due to the nature of our business and the scope of our services, we are unable to provide information regarding furniture, artwork etc. Possibilities for Design has specialized in creative interior design and merchandising solutions for homebuilders and developers for over 30 years, and we are proud of our role as a national leader. Headquartered in Denver, CO and with clients all over North America, Possibilities for Design is known for is client-focused approach and commitment to ensuring brand aesthetics. Our process begins with extensive research as we become acquainted with every aspect of a proposed community. How does it relate to its landscape? What materials and architectural styles are at play? How does it differ from other neighborhoods and what is its unique value proposition? We then develop a buyer profile that drives our custom-tailored design. The result? 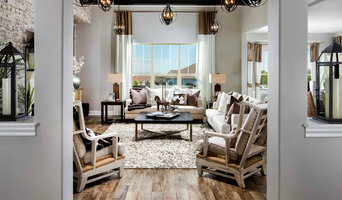 Distinctive models and clubhouses that resonate with buyers—whether they’re shopping for an attached home in a bustling city, or looking for a family-friendly retreat in a suburban sanctuary. When it comes to service that’s attentive to business goals and award-winning projects that delight consumers, no one offers more possibilities. Exceptionally designed and furnished over 150 luxury homes, the Markel Design Group has served Summit and Eagle County for 15 years. We differentiate ourselves from other interior design firms using our uniquely defined "business model" keeping clients on budget, on task, utilizing clear and timely communication, and most important providing the final finished home of their dreams. 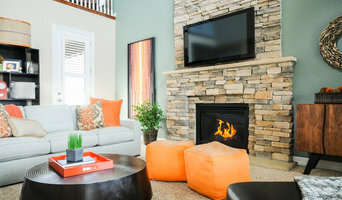 Summit County's most respected fully diversified interior design firm works intimately with our clients to comprehend and define their meaning of "home". No matter what our clients strive for, whether ultra modern and contemporary, traditional, mountain chic, or eclectic style, our meticulous attention to detail along with their input, create a timeless and sophisticated environment that is both comfortable and practical. Studio Thomas enjoys working with clients to create lasting interior design solutions that capture their needs, wants, and personal style. We pride ourselves on client relationships and the ability to develop unique design solutions. Our projects range from residential to commercial design and vary between size and budget requirements. We want our clients to feel comfortable and excited about the design process and love the end result. Our firm also works hand in hand with builders, developers and investors to create and implement a complete design package that gives projects an advantage over the competition. As a team we create a budget conscious and well thought out design. We offer space planning, 3D perspective renderings, design concepts, implementing budgets, specification selections, product purchasing and receiving and overall project management. Jordan Design Studio is a Denver-based interior design firm, established in 2000, specializing in high-end residential design. Led by Scott Jordan, the JDS team shares a common philosophy: to build strong client relationships while providing innovative interior design with exceptional service and close attention to detail. Our benchmark is to provide a highly detailed, quality product, whether the project is traditional, contemporary or eclectic in style. We are passionate about what we do, and pride ourselves on our ability to facilitate our client's vision through hands-on relationships and creative thinking with an "out of the box" approach. We strive to provide value in our services through all phases of the process. Jordan Design Studio strongly believes in quality design at all price points. From a one-time Working Consultation in the clients home to Full-Service Interior Design, taking you through from concept to completion, we would love to talk with you and tailor services to your needs. Give us a call and let's chat! 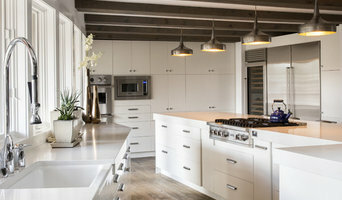 Pocci Design Group in Boulder, Colorado has an extensive international design portfolio and is committed to helping clients execute complete interior design projects or renovations successfully. Pocci is nationally recognized and has won multiple ASID Crystal Interior Design Awards. Donna Pocci’s business philosophy has remained unchanged: provide clients with inspirational ideas, unique products and superior service. Pocci Design Group has designed numerous residential, commercial, hospitality and remodeling projects for clients in Boulder and Denver, Colorado, and in Arizona, California, Hawaii, Illinois, and Nevada. Design is our passion. We create inspiring spaces that reflect the unique lifestyles of our clients. We want our clients to love their homes. 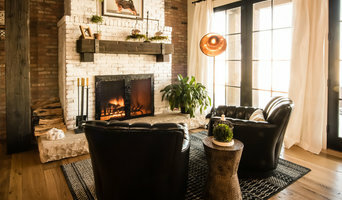 D’Amore Interiors is a family owned and operated furniture and design showroom offering some of the most unique home furnishings from around the world! Established in 1980, we have spent years perfecting our craft and are proud of the collection on display in our showroom. We have recently relocated down in the Denver Design District, where our 18,500 sq. ft. building showcases many looks, from rustic to contemporary. Whether you are looking for finishing touches or starting from square one, we love becoming part of our clients’ lives and helping make them more beautiful! Our showroom is open to the public and we welcome all design enthusiasts, both amateur and professional! With over 30 years of experience, Linda Sue Shirkey is an award-winning interior designer helping individuals and families attain more enjoyment from their living spaces. She is a member of the International Interior Design Association (IIDA), and a Certified Aging in Place Specialist (CAPS). Her work has been featured in Colorado Homes and Lifestyles and Colorado Biz magazine. Our environment influences our sense of wellbeing. Working with clients in the Denver metro area and along the Front Range, Linda Sue creates harmonious living spaces. She loves getting to know her clients: how they live, and what makes them happy, so she can extend that joy into their homes through her interior design skills. Candice Sone is an award winning interior designer and founder of Sone Design, Inc. She has been featured on HGTV and her work has been published in leading national and regional interior design magazines. Candice’s work is grounded in a sophisticated knowledge of architecture, a discerning sense of color, and an inherent understanding of art. She is recognized for her attention to detail and known for her deft interplays of color and texture, dramatic lighting, and exquisite taste in fabrics, finishes, and furnishings both modern and traditional. At Sone design, we listen to our clients and deliver spaces they never dreamed they could have. We create interiors that are not only beautiful, but comfortable and functional. Give us a call today, we would love to hear from you! We are Vacation Rental and Residential Designers. We love to help you love your space and offer your guests an amazing experience.